Coron is one of the islands in Calamian, a group of island north of Palawan, Philippines. It is about an hour away by plane from Manila. Aside from the azure seas, white beaches and islets fenced with limestone cliffs, Coron has several magnificent wreck diving sites. 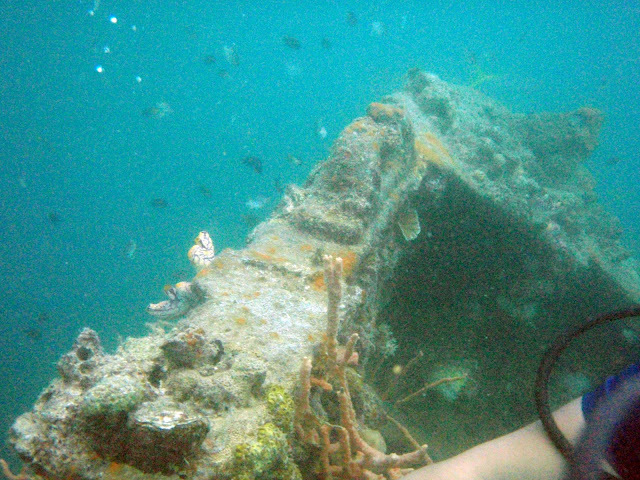 The wrecks are remnants of the Japanese supply fleet that took shelter around the island during World War II. 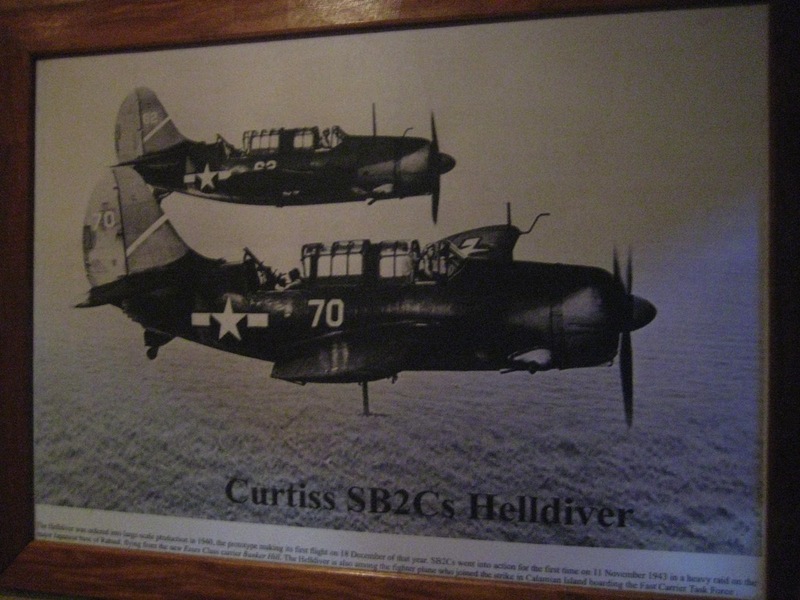 American bombers - whose picture can be found in Helldivers bar beside where we stayed - chanced upon the ships in 1944 and promptly sunk them to oblivion. The dive sites are named after the ships themselves, and I've dived in three sites the second time I went to Coron: Olympia Maru, East Tangat and Skeleton wreck. Olympia Maru is a 5,600-ton freighter, 122 meters long and 17 meters wide, found below at the depth of about 100 feet . We were able to penetrate the cargo hold of Olympia Maru right after we descended, and the site was pretty impresive, albeit it was a bit claustrophobic swimming through the dark cargo hold with just our flashlights and the distant shaft of light providing illumination. The ship also has an impressive growth of corals, and is teeming with marine life. 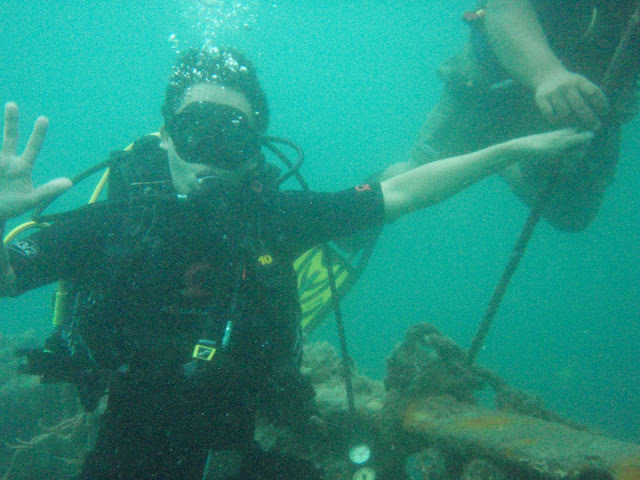 The East Tangat gunboat wreck is just under 60 feet with the shallowest part at 33 feet. 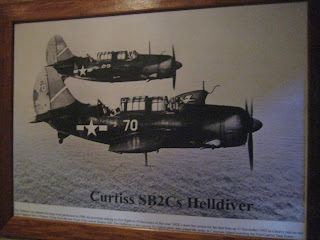 It was later found that this wreck is actually that of the submarine chaser Terukaze Maru . We did not penetrate the interior of Terukaze, but we spent most of the 30-minute dive exploring the deck and the sides of the ship, which, like Olympia Maru, is teeming with corals and marine life. 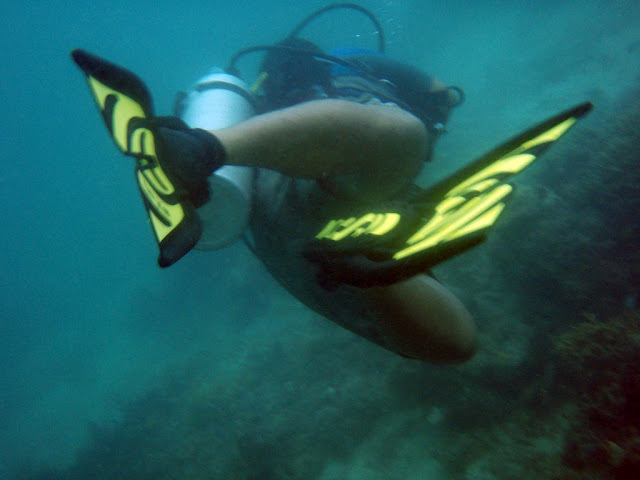 I asked the boatman (that's him diving without a BCD) to bring my Olympus 795SW camera down (only rated up to 33ft) when we were at about 10 meters deep, so I can take some pictures of the dive, with the depth sensor screaming its warning every time I go below 33 feet. 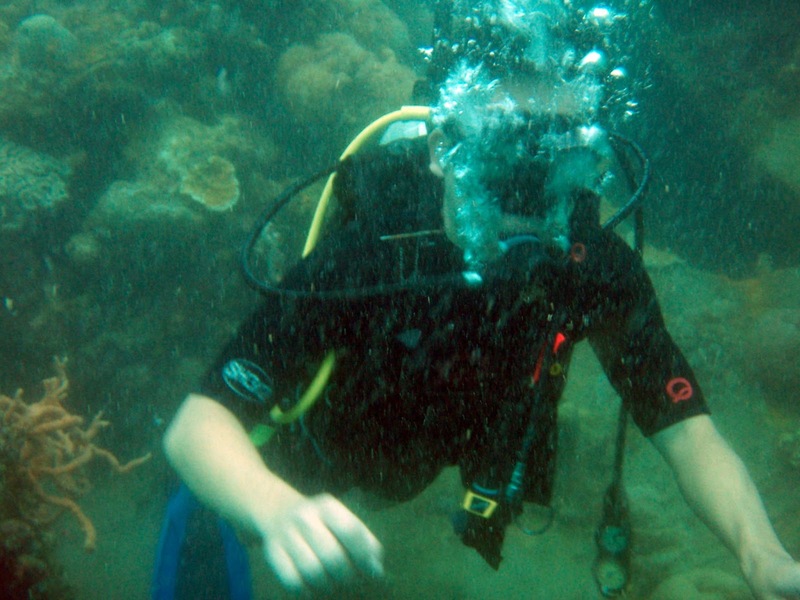 The third site, called Skeleton wreck, is actually shallow, and can be explored using snorkel. 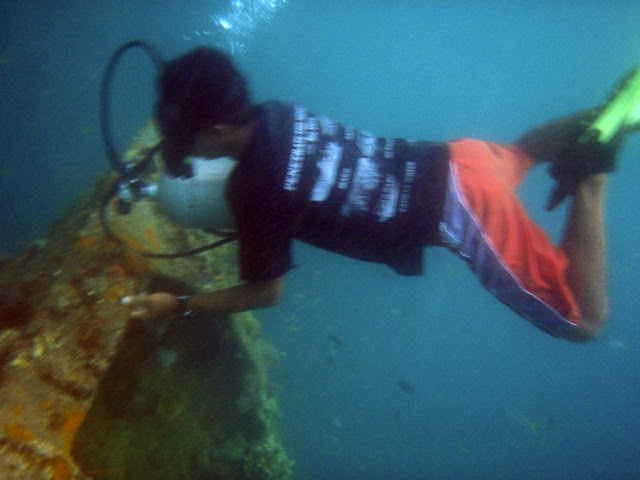 The sunken boat is about 25 meters in length. It is about 14 feet below at its shallowest, and 72 feet at its deepest. Our DM from Seadive Resort did not allow me to join the deepest dive, on Irako, because I only have open water license. The 147-meter long Irako, with a displacement of just below 10,000 tons, was about 130 feet deep below the surface. Getting to Coron is easier these days. Flights from Manila to Busuanga (then a van from Busuanga to Coron, 150 pesos each way) are serviced by four airlines (Cebu Pacific, PAL Express, Zest Air and SEAir). SuperFerry is also an alternative, which has a weekly voyage from Manila to Coron. We stayed in Seadive Resort (seadiveresort.com), rooms are 700 pesos a night and good for 2 persons. Seadive is 5-star PADI certifified, and can arrange the diving trips. They charge P1,700/dive. I didn't have time to dive when I was in Coron last year. I'll make sure to do that next time.